There are deaths that people expect, in fact even welcome. Death for many is a welcome relief from suffering. When my mom died from cancer that spread to her liver and finally brain, it was a relief to see her suffering end. However, some deaths are followed by an exclamation point. When we came home from church and saw my brother Tim sitting on our front steps, we knew something was wrong. 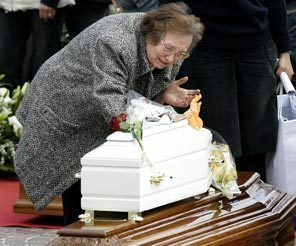 When he cried out “Dad’s gone!”, that exclamation point hit me in the stomach and knocked the wind out of me. My dad was only 63. His death was a total shock to all of us, especially Mom. Nothing shakes our world like the unexpected death of a close friend or loved one. That exclamation point shakes our world. However, one death shook the whole world, indeed, the whole universe. This death was no surprise, for it was planned. This death came with a HUGE exclamation point!!!! As we celebrate this Easter Sunday, I want us to consider three things that Peter wants us to see, for they are Life Changers! In this part of Peter’s sermon, we see God’s PLAN, God’s PRESENCE and God’s PROMISE. Sin corrupted God’s design. Sin brought the curse of death and decay to God’s creation. Yet this came as no surprise to God. God loved His creation, and already had a plan to remove the curse of death. His plan was made before time began. Verse 23 says God delivered up Jesus Christ. His own son! After Peter and John were threatened for preaching about Jesus, they were released and returned to the disciples. They prayed in Acts 4. They started their prayer Sovereign God and they prayed to God saying that Pilate and Herod and the Gentiles and Jews had only done WHAT YOUR HAND AND YOUR PLAN HAD PREDESTINED TO TAKE PLACE. It may have been Judas who betrayed Jesus, but Judas was doing exactly as God had planned. It may have been the Romans who crucified Jesus, but the Romans were doing exactly as God had planned. It may have been the Jews who screamed, “Crucify Him!”, but the Jews were doing exactly as God planned. Jesus had to suffer this horrible death as the perfect sacrifice for our sins. There was no other way for God to rescue His creation from the curse of sin! B. The Death of Jesus was Committed at the Hands of Lawless men. (Even though it was God’s plan, there is no excuse for what these people did). Innocent men have been murdered throughout the ages. Cain murdered his brother Abel. The prophets were stoned and ridiculed, even put to death. The 12 apostles were all murdered except John, although tradition says they tried. Every day it seems we hear news of some other psycho who starts murdering innocent people. It seems that lawlessness is getting out of hand. Yet the truth is each one of us is born lawless. We each fail to live by God’s Law, and even our own internal law. We resist, we rebel, and we have a natural bent away from total obedience to God’s Law. We must accept God’s judgment of our sinfulness. There is nothing in us that permits fellowship with Holy God. We are each guilty of lawlessness before God. EACH ONE OF US IS BORN WITH THE SENTENCE OF DEATH UPON OUR HEADS, FOR DEATH IS THE WAGE OF SIN. 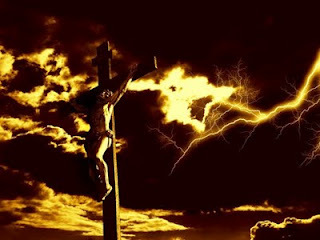 C. God Had Jesus Crucified to Destroy Death. God delivered up Jesus and RAISED HIM UP! He loosed the pangs of death. Having loosed the pains of death. 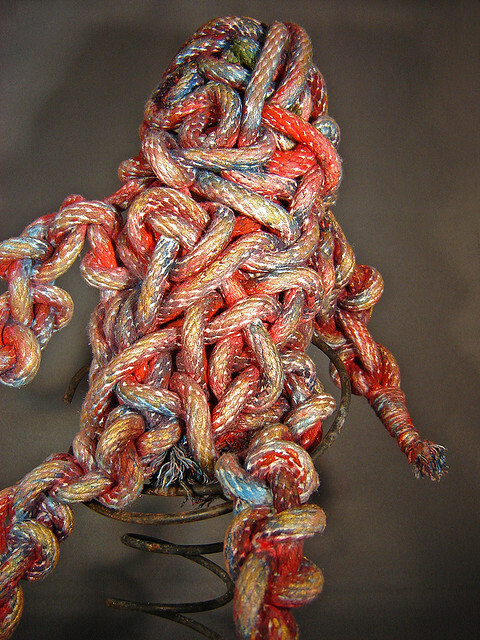 The word loosed, lusav, is opposed to bind, and is properly applied to a cord, or to anything which is bound. See Matthew 21:2; Mark 1:7. Hence, it means to free, or to liberate, Luke 13:16; 1 Corinthians 7:27. Death could not hold Jesus. We must face that fact that just as a the birth of a child issues from the pangs of a mother’s travail, so does the passing of each one of us follow the travail of the pains of death. 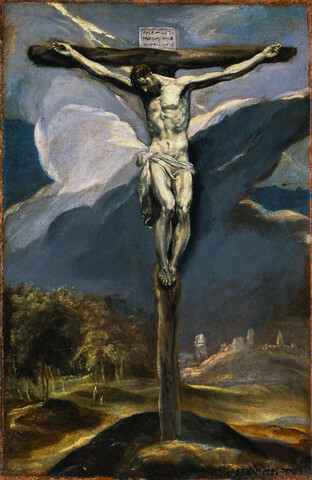 When Jesus cried out from the Cross, “It is finished” He willingly laid down His life and faced the travail and pangs of death. His heart stopped. His breathing stopped. His bodily functions ceased. His brain was lifeless. 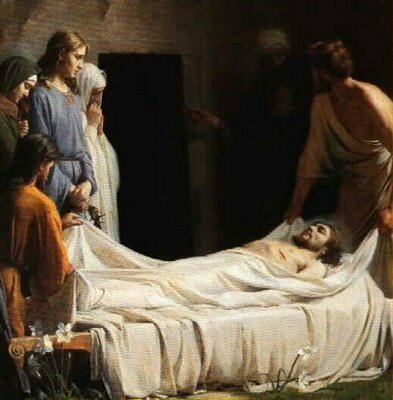 They took his crucified body and wrapped Him in burial rags and laid Him in a borrowed tomb. Jesus, the Son of God died. If we could see with spiritual eyes, we could see Satan’s demons in that tomb, wrapping a million cords of rope around Jesus. They were doing everything in their power to hold Jesus down! However, it was no use. 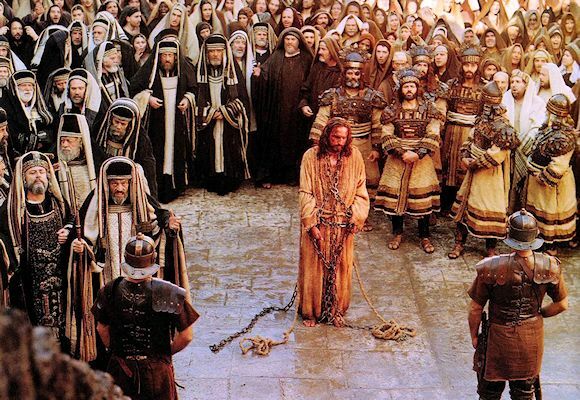 Satan could have used a trillion ropes and that would not have been enough to hold Jesus in the grave! God’s Word says they could not hold Him. They had no strength! Death had no power over Jesus! 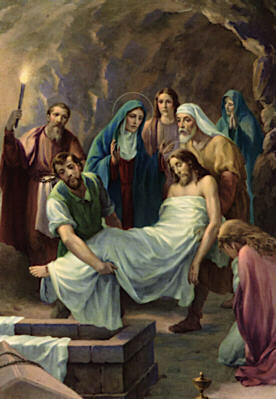 Jesus raised His body up from that stony grave and those cords melted away. Jesus stood up and kicked those demons out of that tomb. Jesus had broken the strength of death. It had no power over Him! Jesus loosed the ropes of death stood up and kicked the Devil out of the tomb! Take that you old devil, for I have defeated death forever more. Your power over my children is forever destroyed! kratéō; from krátos strength. To take hold of, grasp, hold fast, followed by the gen. of person meaning to have power over, rule over. Hebrews 2:14-15 Since therefore the children share in flesh and blood, he himself likewise partook of the same things, that through death he might destroy the one who has the power of death, that is, the devil, and deliver all those who through fear of death were subject to lifelong slavery. Revelation 1:17-18 When I saw him, I fell at his feet as though dead. 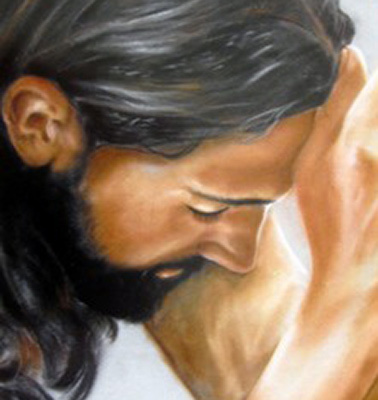 But he laid his right hand on me, saying, “Fear not, I am the first and the last, and the living one. I died, and behold I am alive forevermore, and I have the keys of Death and Hades.” One day he will throw death and Hades into the Lake of Fire! To have the Lord at one’s right hand signifies protection. Advocates would sit to the right of their clients to defend them in court (R. C. H. Lenski, The Interpretation of the Acts of the Apostles [Augsburg], p. 86). Bodyguards would stand on the right side so they could cover the person they were protecting with their shields and still have their right arm free to fight (John MacArthur, The MacArthur New Testament Commentary, Acts 1-12 [Moody Press], p. 65). The right hand is mentioned because that was the place of dignity and honour. God had the place of honour, the highest place in Jesus’ affections, Psalms 109:31. In our dependence on God, we should exalt him. We should not merely regard him as our help, but should at the same time give him the highest place in our affections. We Have the Promise from God! TO ISRAEL – Isaiah 43:1-2 “The LORD… who created you, (says): “Fear not, for I have redeemed you; I have called you by name, you are mine. When you pass through the waters, I will be with you; and through the rivers, they shall not overwhelm you; when you walk through fire you shall not be burned, and the flame shall not consume you. Understand that God was at the right hand of Jesus every step down the Via Dolorosa. He was there through every lash, through every pounding of the spikes. He was there in the jeering crowd. Yet God forsook His only Son to the cross and to your sin, because it was His plan foreordained before time even began. Rest assured, Jesus has promised all His children, that He will never leave you nor forsake you, that He, through the Holy Spirit, is always at your side. Does Jesus hold a place of honor in your life? Do you thank Him for His comfort, protection, and love? Has your life ever been shaken? When you take your two-year-old boy to the Emergency Room with high fever and an inability to hold his head up, you are worried. When the Doctor says they need to do a spinal tap, you get more worried. When the Doctor comes back and says your son has spinal meningitis, your are literally shaking. My wife and I prayed right there, and we committed our son into God’s hands! We knew that God was not shaken! Praise the Lord, the Doctors were wrong, and our son soon got better! Jesus could proclaim His joy and gladness because God was near Him in time of calamity. His confidence in God to deliver Him was all He needed to overcome any fear of crucifixion and becoming the lamb slain for the sins of the world. Instead of fear in His heart and woe upon His lips, Jesus said His tongue rejoiced. Tongue in the Hebrew can mean “my glory or my honor.” The tongue is man’s means of expressing honor and glory to the Creator God. As Psalms 30:12, “To the end that my glory may sing praise to thee, and not be silent. Jesus used His tongue to express His Honor of His Father, for He knew that through Him, there was a “joy set before me.“The Greek word actually means to “jump for joy.” Yes, you can honor God as you “jump for joy”! One of Satan’s most successful lies is that God is a cosmic killjoy who wants everyone to be miserable. People view God as a great sadist in the sky, who gets perverse delight in making His creatures miserable. Nothing could be further from the truth! Jesus wants His joy to be our joy. 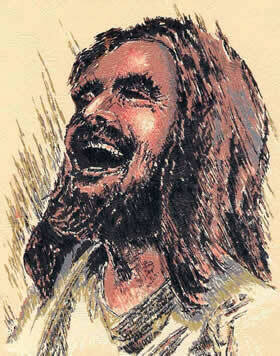 His joy in the midst of the worst calamities can be our joy in the worst of times! He told the Disciples when they saw Him alive again, they would rejoice, and no one could take that joy away from them (John 16:20, 22). Nevertheless, it does overcome such times because it rests on the sovereign God and His promises to every believer. E. Jesus Dwelt in Hope. Literally: MY FLESH IS GOING TO PITCH A TENT WITH CONFIDENCE. Like the expression “You can take that to the Bank” Jesus hung on the cross in confident expectation of the Resurrection. His earthly body was temporary, it was a tent, but Jesus dwelt in that tent in Full Confidence of His Father! The word Greek word elpís “hope” best expresses confidence rather than hope. The passage means, My body will I commit to the grave, with the firm confidence that I will never see corruption, but arise to the Joy of my Father! NKJV For You will not leave my soul in Hades. Jesus had no part in sin, therefore His body was exempt from the corruption and decay that a dead body experiences. Instead of the stench of decaying flesh, Jesus was a sweet aroma to His heavenly Father! Destruction in a moral sense. It refers to the change of the present constitution of the body or the change of the moral makeup of a person. Jesus body never decayed because He had defeated Sin and Hell! Jesus is declaring that the Cross is the Path of Life! It has Power for all Eternity. The cross towers over the train track of ruin and damnation. The unstoppable locomotive of death and destruction was bearing down on Jesus, but that old Cross stopped that locomotive cold, throwing it off the tracks. 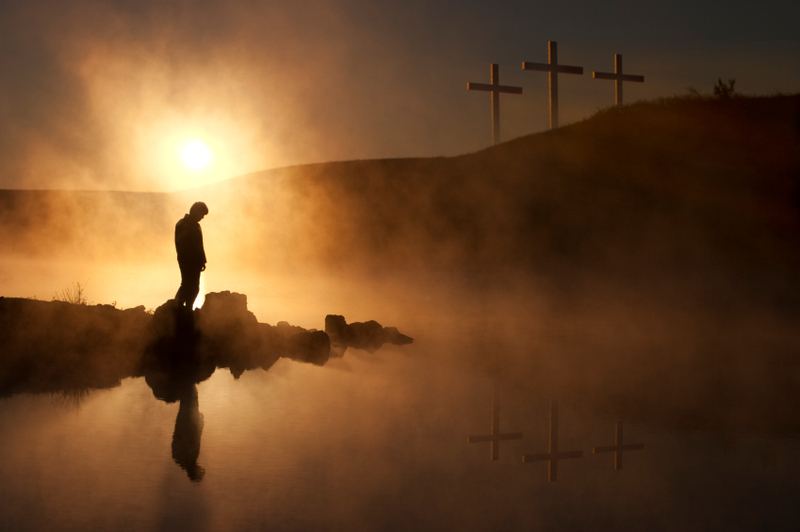 For the Cross became a new track, the track that leads to Eternal Life! Jesus is our Path of Life! This properly means the path to life; as we say, the road to preferment or honour; the path to happiness; the highway to ruin, etc. See Proverbs 7:25, 27. It means, Thou wilt make known to me life itself, i.e. thou wilt restore me to life. The expressions in the Psalm are capable of this interpretation without doing any violence to the text; and if the preceding verses refer to the death and burial of the Messiah, then the natural and proper meaning of this is, that he would be restored to life again. D. You Will Make Me Full of Gladness With Your Presence (Countenance). There is nothing that Satan could throw at Jesus that could steal His joy! Not torture, not crucifixion, not even death! Jesus knew that God would raise Him from the dead before His body would undergo decay. He knew He would once again enjoy the Presence of His Father. 1.) 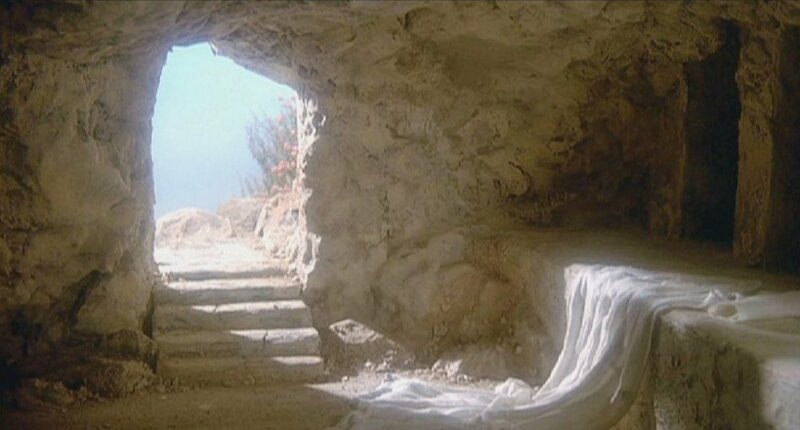 The Resurrection Assures us that Death will never hold us. Our body will experience decay, but our soul will be with God the very millisecond we die. Death will never destroy us, because Jesus conquered Death! 2.) 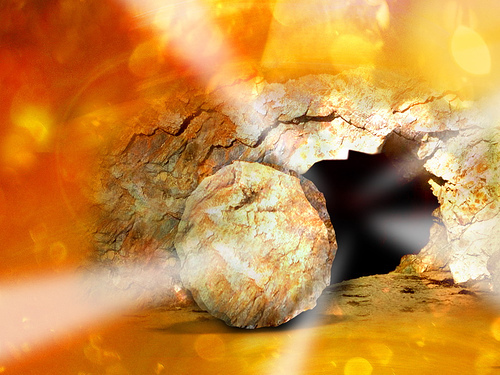 The Resurrection Assures us that Life doesn’t have to Shake us. We have Power over Life through Jesus Christ. We can know Gladness and Joyfulness in the midst of the worst of times. We can rejoice because we have an unshakeable confidence that because Jesus defeated sin, death and the Devil, even so we will conquer death and sin and the devil because we are in Him by faith! To absent from the body is to be present with the Lord! However, our bodies await that great moment when “the Lord Himself will descend from heaven with a shout, with the voice of the archangel, and with the trumpet of God; and the dead in Christ shall rise first. Then we who are alive and remain shall be caught up together with them in the clouds to meet the Lord in the air, and thus we shall always be with the Lord” (1 Thess. 4:16-17). We Have a New Victory Cry! 1 Corinthians 15:51-57. For this perishable body must put on the imperishable, and this mortal body must put on immortality. When the perishable puts on the imperishable, and the mortal puts on immortality, then shall come to pass the saying that is written: “Death is swallowed up in victory.” “O death, where is your victory? O death, where is your sting?” The sting of death is sin, and the power of sin is the law. But thanks be to God, who gives us the victory through our Lord Jesus Christ. We can Jump for Joy! 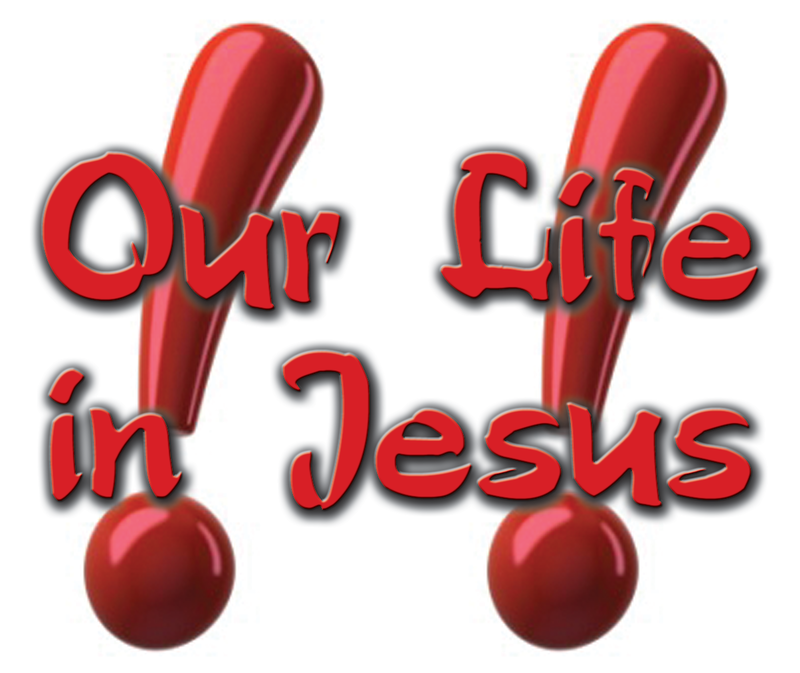 We have a New Exclamation Point for our Life! He is Alive! He is Alive!!!!!! How is your gladness this morning? Are your rejoicing? WHO IS YOUR TRUST IN? Jesus was rejoicing even on the Cross. His behavior was so unbelievable that a cursing thief had a change of heart and confessed Jesus was a righteous man. A roman soldier declared that truly this was the son of God! You do not have to settle for a trickle of joy now and then. You do not have to be shaken by what life throws at you. You do not have to fear tomorrow. You do not have to fear death. Give you life to Jesus Christ. Trust Him and Him alone for your salvation. The pangs of childbirth turn into the Joy of parenthood. The pangs of death turn into the Joy of life with our Father forevermore! What is the Key to Knowing His Joy and Gladness? Spend time often with God in His Word and in prayer. Even if it is a short time, get up early enough to meet with God before you head out the door. Start keeping an ongoing dialogue with God. Relate everything, even little events, to God’s Hand. Learn to say thank you God! See everything from His loving hand. Nothing happens by chance. Even the bad things, we thank Him for! Take time often to enjoy God in His creation. Take time to garden, grow flowers, feed the birds, and take a walk. Turn the TV off, stop watching the news, and make time to see God’s creation! If you cannot sense God’s presence and glory at a time like that, you may not know God! The key to joy and gladness is to walk and work and play with a constant sense of God’s presence. Then, even if you go through trials, you will keep your joy because it is coming from God and His presence with you. The cross between was bare. He said, “You there, prepare to die. “Let this one go, take me instead. He stepped into my stead. And through his death, I’d live. His life to gladly take. And blood flowed down his face. While God, the Son, gazed ’round. “It’s finished now”, the Saviour said. And then they pierced his side. And I fell to the ground. When counting out the cost. 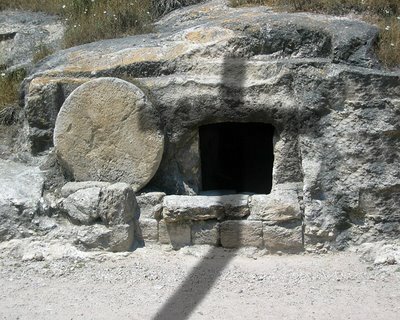 Where Jesus died for me! 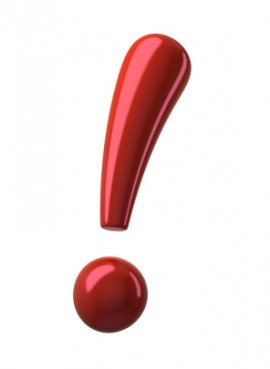 Are you living Life with an Exclamation Point! Are you jumping for Joy regardless of the circumstances? The Death of Jesus was the greatest Exclamation Point this world has ever known, for it was followed by His resurrection! HE IS ALIVE! HE IS ALIVE! Because He Lives We have Power over Death! Because He lives we have Power over Life! Because He lives, we have Power for Eternity – Life with Him! Is there an Exclamation Point in your Life? Is Jesus in your Life? Spiros Zodhiates, The Complete Word Study Dictionary – New Testament, (Chattanooga, TN: AMG Publishers, 1993), WORDsearch CROSS e-book, 885.